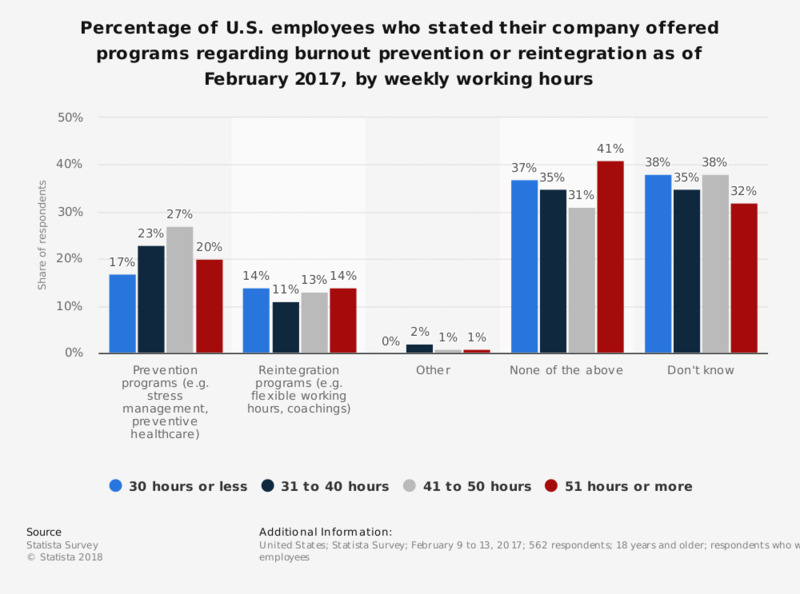 This statistic shows the percentage of U.S. employees who stated their company offered programs regarding burnout prevention or reintegration as of February 2017, by weekly working hours. It was found that 17 percent of respondents working 30 hours per week or less worked in companies that had prevention programs in place to prevent burnout. Original question: "What does your company offer regarding burnout prevention or reintegration after sick leave due to burnout, respectively?" Respondents could choose multiple options.